This weekend, as we celebrate the resurrection of Jesus at Eastbrook Church, we will begin a two-week message series exploring “The Good News of Jesus.” Drawing upon the post-resurrection accounts within the Gospel of John, we want to bring into sharper focus the ways in which Jesus brings good news to the world. The resurrection of Jesus from death brings good news into our lives. As we celebrate Jesus’ resurrection, we will also explore three themes of how this is good news: light overwhelming darkness, freedom overcoming prisons, and life overpowering death. After Jesus’ resurrection, John offer a series of encounters that Jesus has with real people. Each of these encounters sheds light on the way in which Jesus’ resurrection is good news: God’s presence in loss (Mary), God’s peace in fear (disciples in the upper room), God’s guidance in doubt (Thomas), and God’s restoration in failure (Peter). 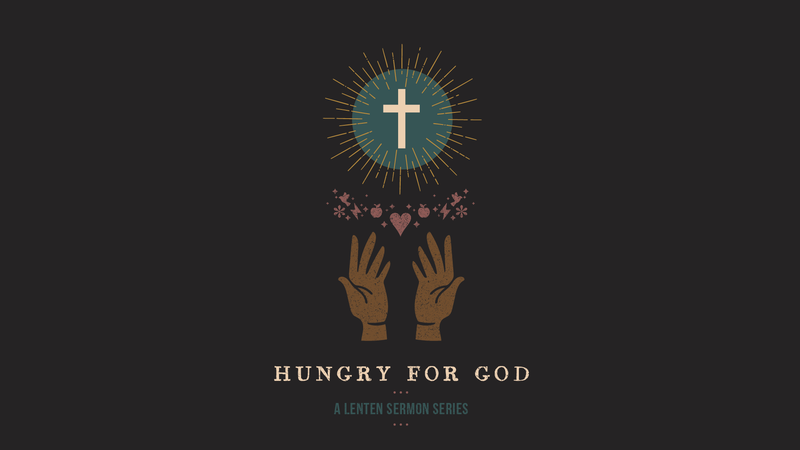 As we enter into Holy Week and bring the climax to our Lenten journey, I concluded our series, “Hungry for God,” this past weekend at Eastbrook Church. This weekend I explored the hunger to leave a legacy. Because this was Palm Sunday, I intertwined the exploration of legacy with Jesus’ triumphal entry into Jerusalem. This would definitely not be my normal manner of approaching the topic of legacy, but I went for it and you can explore it with me through the message video and sermon outline below. You can follow the entire series at our web-site, through the Eastbrook app, or through our audio podcast. During Lent at Eastbrook Church, we continue to explore the soul-deep hungers in our lives planted there by God in order to lead us to Himself. The series, “Hungry for God,” parallels the season of Lent, and has a companion daily devotional that you can access here. This weekend I explored the hunger for peace. There were so many ways we could approach this topic. In fact just a short while ago, I preached on Jesus as the Prince of Peace. However, this weekend, I decided to focus in on Jesus’ Passion and the journey from the triumphal entry to the cross and beyond to the resurrection. I asked: how does Jesus’ Passion related to the peace He promised to bring? This weekend I explored the hunger for greatness by looking at a quirky story in Mark 10, where James and John ask Jesus to give them a special place of honor when He returns in glory. The other disciples are incensed and it provides an opportunity for Jesus to discuss the nature of true greatness. This past weekend at Eastbrook Church, we began a series that explores how our hungers lead us to God to find true rest for our souls. The series, “Hungry for God,” parallels the season of Lent, and has a companion daily devotional that you can access here. This weekend I explored the hunger for love by walking through the story found in John 4 of Jesus’ conversation with a woman at Jacob’s well in Samaria. In continuing our series, “Name Above All Names,” this past weekend at Eastbrook Church, I looked at one of Jesus’ most unique titles in all of Scripture: Word of God. The word logos in Greek has deep roots in Hellenistic philosophical thought, but the majority of scholars agree that the most likely background here is in Jewish thought on God speaking, the Word of God coming to the prophets, and the personification of wisdom in such texts as Proverbs 8. Still, the idea of the word becoming flesh is entirely new and one of the most beautiful portions of Scripture in the entire New Testament.